In many countries, sludge is a serious problem due to its high treatment costs and the risks to environment and human health. 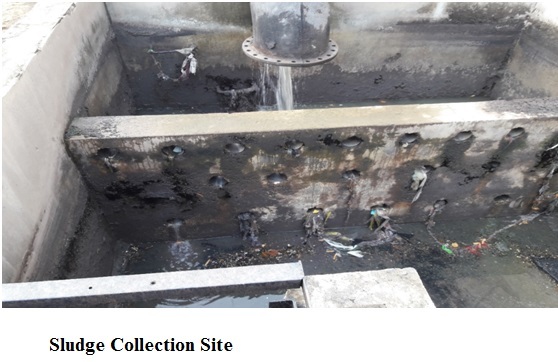 The sludge presents an increasingly difficult problem to any city irrespective of size because of the scarcity of suitable disposal sites, increasing labour costs, and environmental concerns. This study investigated the use of sewage water treatment sludge incorporated with clay. 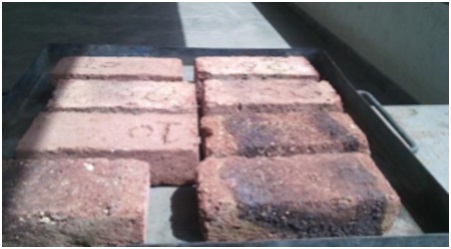 In this study bricks were produced with sewage sludge incorporated in various proportions ranging from 20, 30, 40 and 50% by dry weight respectively and they are compared with locally produced brick with regular composition of clay brick. 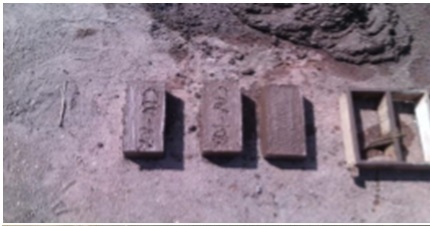 Bricks with a sludge content of up to 40% were capable of meeting the relevant technical standards. However, if bricks with more than 30 % sludge addition are not recommended for use because they are brittle in nature and easily broken even when handled gently as well as colour is not as per the requirement. Also from this investigation we can solve disposal problem completely and also construct and economical structure with easy designing. To give better environment to the town. To investigate strength in brick and investigation for feasibility. To examine the effect of dry sludge in brick properties. 1. 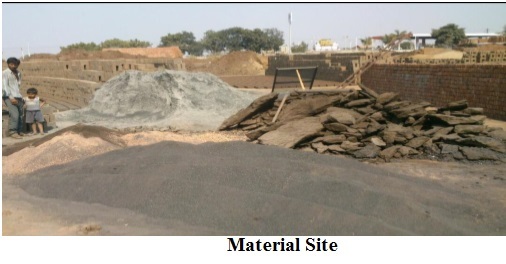 To check the feasibility of sewage sludge as ingredient in brick making. 2. Conservation of natural resources like clay. 3. To solve the problem of disposal of sewage sludge in urban region. 4. To make eco-friendly low cost and durable construction material. This study suggests that the sludge clay can be effectively used for manufacturing of brick of required shape and size by adopting the proportion of ingredients of Type-A. Merely dumping and disposal problem of sludge will occupy the more space and creates the environmental pollution in its surrounding region. So in order to prevent all the above issues, sludge can be used for manufacturing of brick as a strong material. Also, the Type-A brick in this project investigation has proven to be of sufficient strength. Also the water absorption for this brick is in range of 14 to 15% that means it follows the requirement of first class brick. c) At place of heavy loading like ground floor construction where dead load are more. c) Boundary wall of garden, park.